Maintaining a beautiful yard may become a daunting task. The flowers and leaves, weeds and grass, twigs and clipping, may pile over the corner of the yard and spoil the joy of beautiful yard. All this waste has to be removed and after it has been removed, there is another job to consider. You have to figure out how the waste will be transported from your property and disposed of safely. If you are unsure, it may be overwhelming to find the best way to get rid of all the waste. Even though you can do the planning and heavy lifting on your own, it may be much simpler to call upon the services of a professional a waste removal company in South Bend. There are a number of reasons why you should hire a professional to take care of your yard waste removal needs. First, you won't have to worry about all the heavy lifting associated with the removal waste from your home. After clearing your yard, there is a lot of work that needs to be done. You want to make sure that all the waste has been removed well and this is not an easy job. When you consider how you'll remove the waste from your home, it may be stressful and overwhelming to your already tired body. Allowing South Bend Junk Removal professionals to do the waste removal for you will give you the physical break you need. ​Another reason to work with a removal service is that you can get a yard waste removal dumpster, to ensure proper disposal or recycling of your waste. So much trash ends up in landfills, but it doesn't have to. It can decompose and be turned into compost. Professional debris removal companies know how to make it happen, either by working with the waste themselves, or knowing where they can dispose of for the making of compost. At South Bend Junk Removal, we offer tree branch removal service and tree debris removal in South Bend, which means hauling away all the dead trees, twigs, flowers, tree branches, and leaves. This will save you both time and labor. Hiring a service is helpful when especially you have a significant amount of yard waste to clear away. If you have a surplus of yard waste that you can't dispose of on your own, hire South Bend Junk Removal. We are a professional service provider who can clear the junk to free you from the pressure of organic trash. After our removal team has collected the waste, it is disposed of in an environment-friendly manner. The best thing about our services is that they are efficient and our tree debris removal cost is affordable. It may be tempting to let the yard waste pile up. However, a mountain of debris will make your property look unattractive and unkempt. 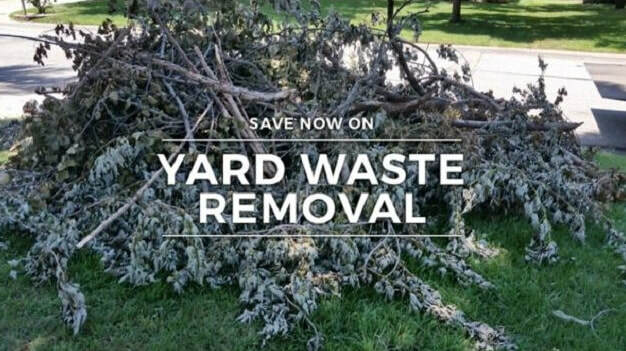 With expert yard cleanup and removal in South Bend IN, removing this waste will be easy and it'll make your home look beautiful and well maintained. If you need debris removal services, contact South Bend Junk Removal!